Well the easy answer is stay with my friend Laurel, who makes a fantastic and efficient tour guide. 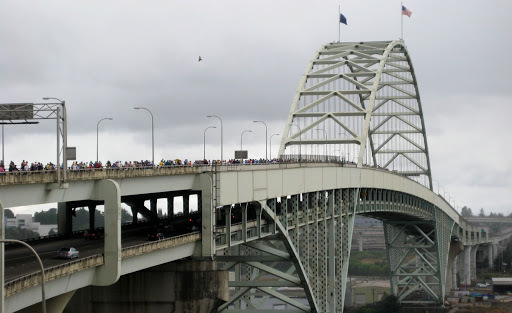 The hard answer is participate in the annual Portland Providence Bridge Pedal. I visited this charming city late this Summer, and I could have picked up my bags and moved to Portland the day I got home to Rochester. Overall, I would describe the city as smartly walkable, and dense with restaurants and shops. 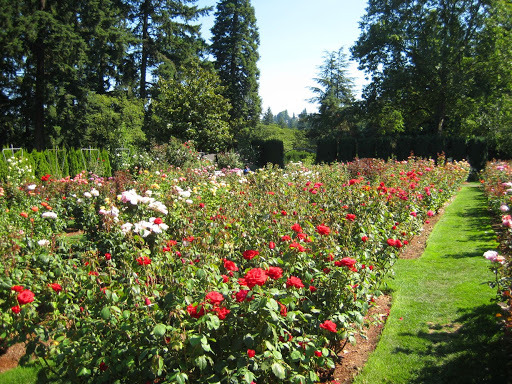 One of the first stops on my whirlwind tour was the International Rose Test Garden. I felt like Alice in the Queen of Hearts’ garden. Row after row of exotic species were in the height of their bloom. This gem was a short walk from Laurel’s house in the Northwest section of the city. I never would have found it without her. The next day we drove a quick couple of hours to Cannon Beach on the Oregon Coast. 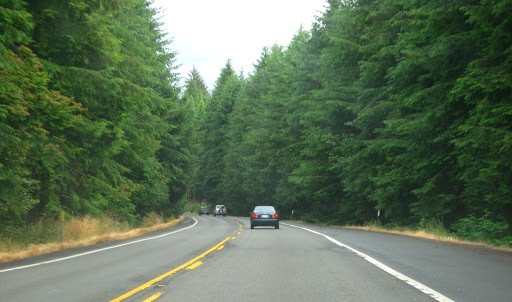 The drive was green and beautiful, and everything I imagined it would be. Though I’m not a huge fan of the franchise, I felt like I was driving through the set of Twilight, and that was pretty neat. Cannon Beach was like something out of a movie. No, literally, it’s out of the movie Goonie’s. 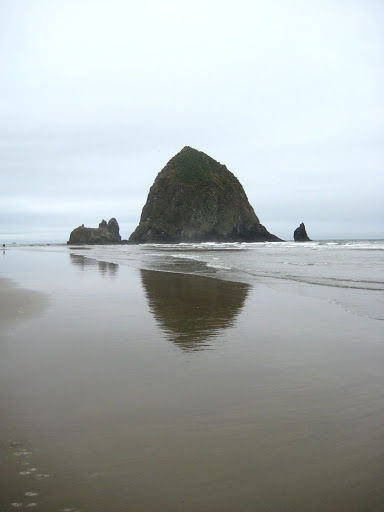 Recognize Haystack Rock? Ah, on to the infamous Bridge Pedal. If you have the stamina, the best way to really see a city is to bike 40 miles looping around most of the neighborhoods, and over 10 of its enormous bridges. Ok, to be fair, I only held up long enough to make it 5 hours and over 8 bridges before I left the pack an took a quick detour home. I like to think of myself as a bit of a biker, but those bridges were huge! Despite my exhaustion and discomfort in places I won’t mention, I saw parts of Portland that otherwise would have gone unnoticed. 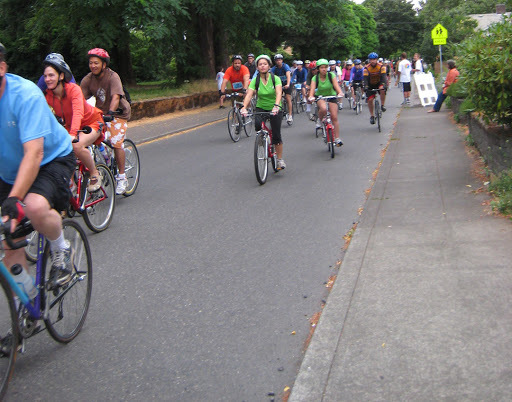 More than 18,000 Portlandians participated in this year’s Pedal, as I learned from the woman I sat next to on the plane home to MSP. She and her husband actually started the whole thing in 1996! It was a great community building event that other bike-friendly cities should replicate (hmm hmm Minneapolis). Despite all of the amazing things I got to see and do in Portland, my favorite part was spending time with Laurel. One of my oldest, dearest friends, with whom I’ve been lucky enough to travel the world. 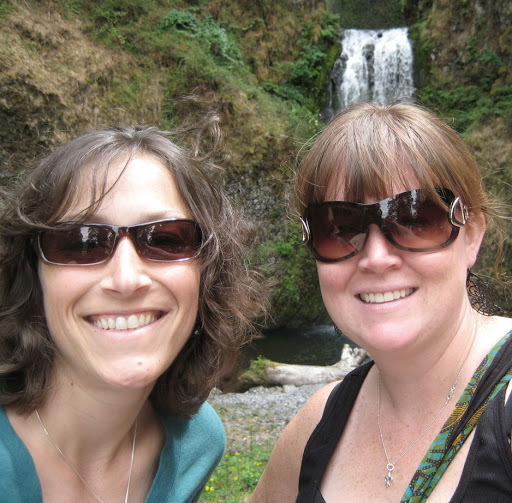 She took time out of her busy schedule as a physician at Oregon Health Sciences University to show me this city inside and out. I’m jealous that she now calls it home. Thanks Laurel! More on Portland soon!